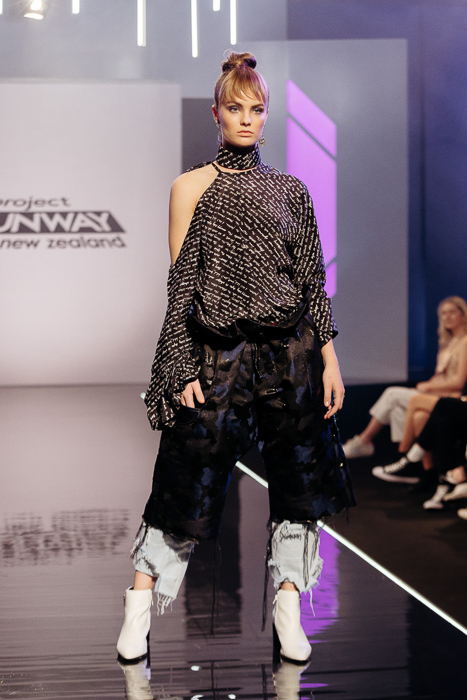 The Project Runway New Zealand designers assemble on the runway before the judges. Image supplied. 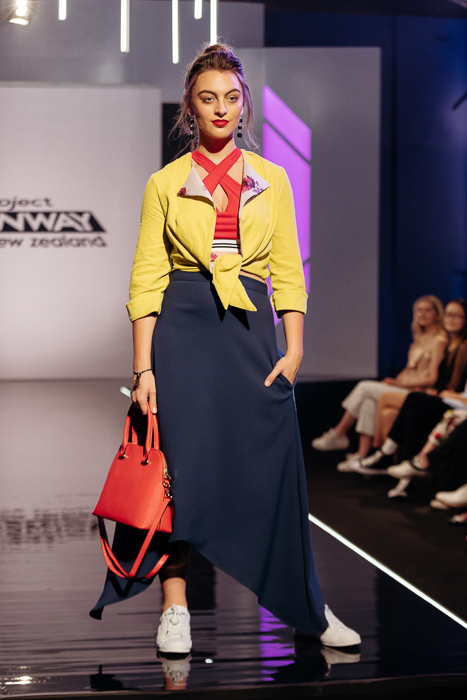 After a fascinating debut last week which introduced us to the first ever crop of Project Runway New Zealand designers, episode two had arrived already. The show opened with the morning after the first runway show and the designers reflecting on their performances. 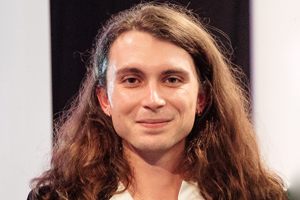 Benjamin Alexander won the first challenge and is non-plussed stating because he won the only person he’s really competing with is himself. 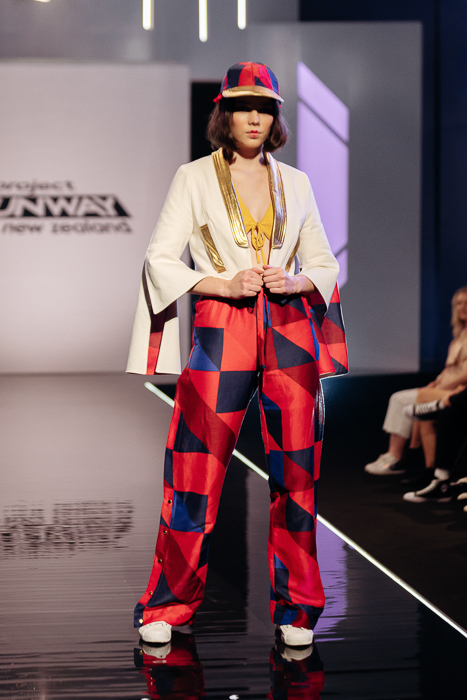 The designers head to the runway to meet host Georgia Fowler and are told that Benjamin has immunity for his win. 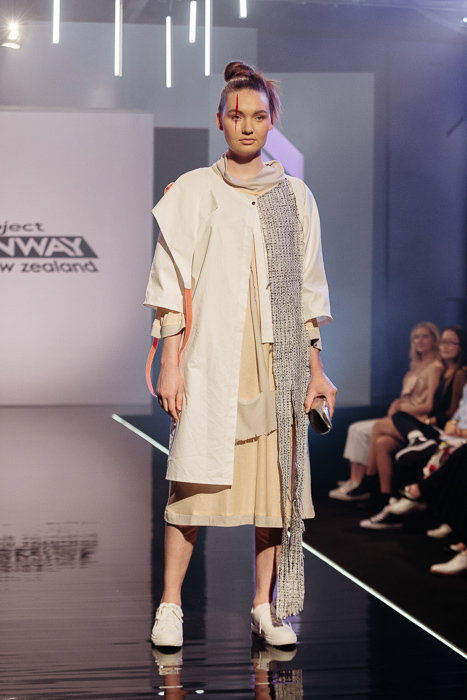 The group then head to Sylvia Park to meet mentor Andreas Mikellis and find out that they have been randomly assigned a store to choose an item from that must be incorporated into their look. The challenge this week is to make a contemporary streetwear look which Andreas reminds them needs to have colour and energy. 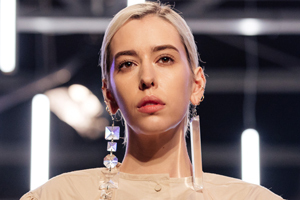 The whole concept makes couture designer Judy Gao and retro designer Beth Hornsby-Hunt rather nervous while Massey Williams is in his element with streetwear and feeling confident. After zooming through the stores, the designers assemble with their chosen items before being told to swap items with the designer to their left much to their horror and dismay. 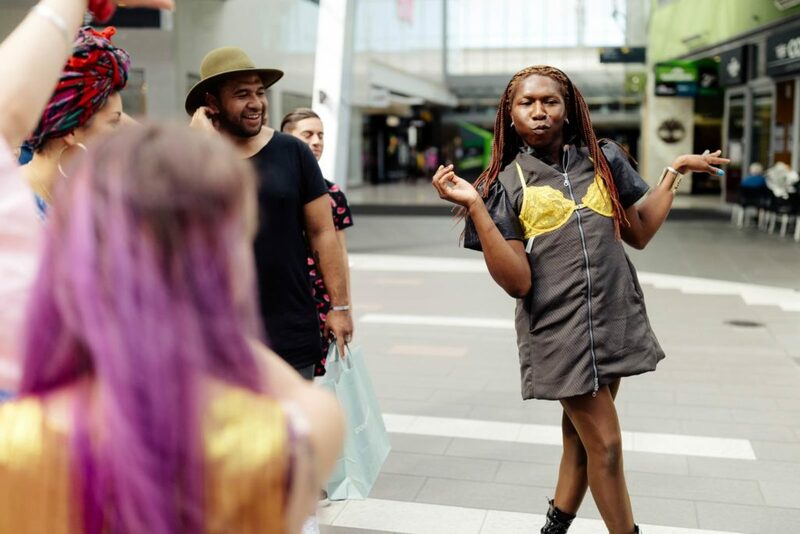 They get into sketching at Sylvia Park before heading off to The Fabric Store to spend their $200 budgets and acquire what they need to complete their looks. Judy usually makes dresses but opts to make a playsuit and jacket to work with the pink suede shoes she’s gotten from Caitlin Chrisp. While Benjamin wants to re-create his version of a chic outfit he saw on a woman in Paris. 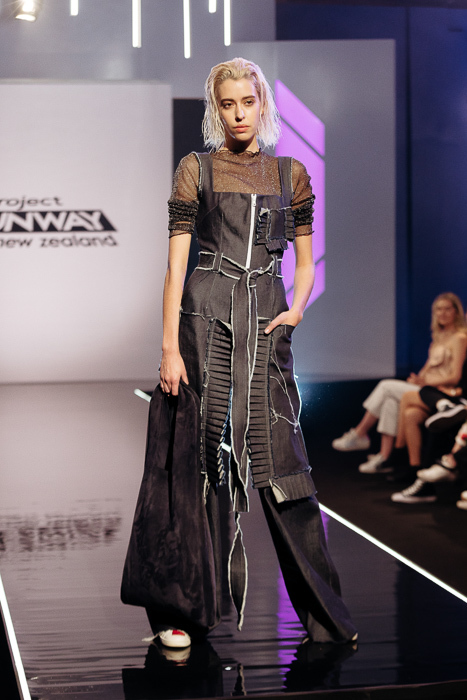 Misty Ratima notes that everyone is making a jumpsuit to which Lenon Wakuwa describes her garment as a dungaree with puffy legs not a jumpsuit. Guest judge James Dobson, judges Benny Castles and Sally-Ann Mullins and host Georgia Fowler evaluate the designs. The models arrive and formerly confident Massey is anxious. It’s really nice to see the designers helping each other to make decisions on their outfits. Lenon likes her look when its fitted on her model but feels her outfit is too plain so opts to change her design. The designers head to the runway where they’re greeted by Georgia and judges Sally-Ann Mullin and Benny Castles. 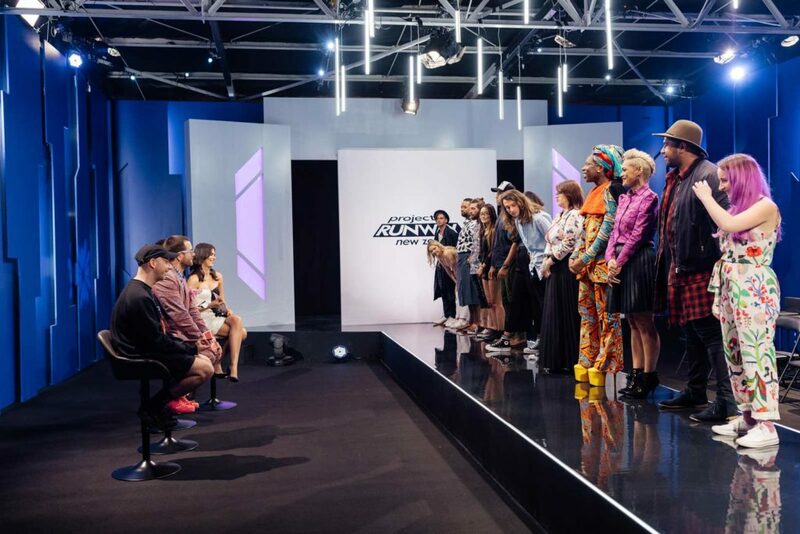 They’re joined by guest judge James Dobson from Jimmy D. A range of stellar and slightly less than stellar looks take to the runway with Judy, Massey, Benjamin, Lenon, Beth and Camille called to go over their looks with the judges. The panel are impressed by the work of Massey and Benjamin, less so by that of Judy, Lenon and Beth. Camille is overwhelmed thinking she is in the bottom but the judges and Georgia reassure her that they like her outfit. 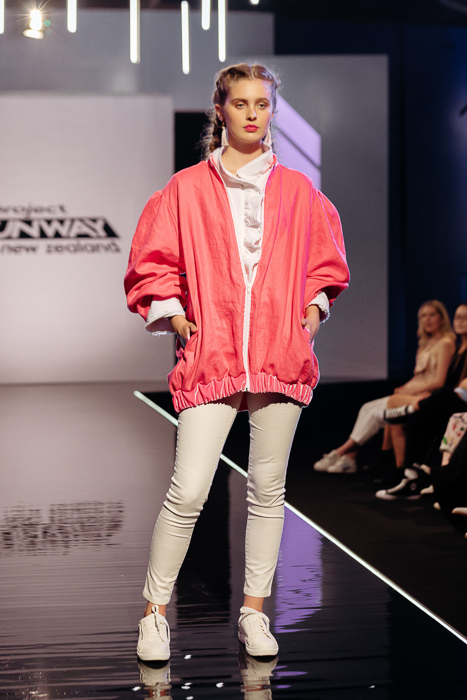 In the end it’s Massey who takes out the challenge with the judges loving his sharp design and clever interpretation of the contemporary streetwear brief. 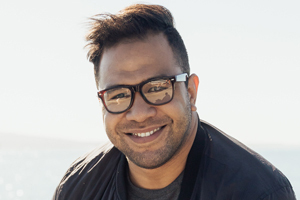 Although the judges noted that Lenon had pushed the boundaries with his unique design, she was out and sent home. 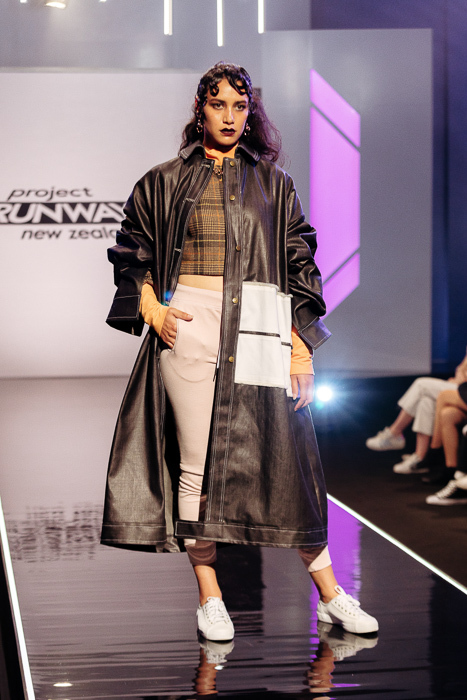 Designer Lenon Wakuwa was the second contestant eliminated on Project Runway New Zealand. Image by Tom Hollow. 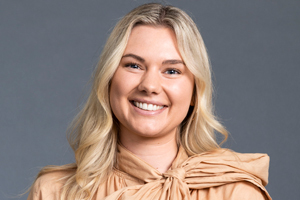 We caught up with Lenon to find out more about her experience on the show, what she would have done differently and what’s next for her. Amazing, inspiring, enlightening, refreshing and fun. What challenge were you hoping to have competed in? I was so looking forward to competing in the avant-garde section, but unfortunately I was eliminated before the challenge. I’m such a do-it-all kind of person and generally take on too much, so if I were to do the show again, I would definitely strip back my design(s) and focus on the details. I always lose track of time! What was it like walking in and meeting everyone for the first time? 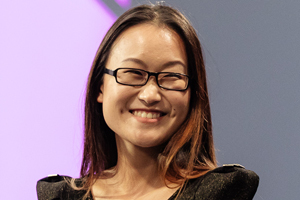 It was amazing – I was so excited to get to know all the other designers and see what their style was. I actually knew a few of the from fashion school! I seemed to really gel with Kerry; I just love his personality and found him really inspiring to be around. Oh and of course Judy, Misty, Beau, Peni and Matt! I know if I had been on the show longer I would have gotten to know the other contestants on a more personal level. Probably spending time with the other designers. It was liberating and really inspiring. I loved how everyones style was unique to them! 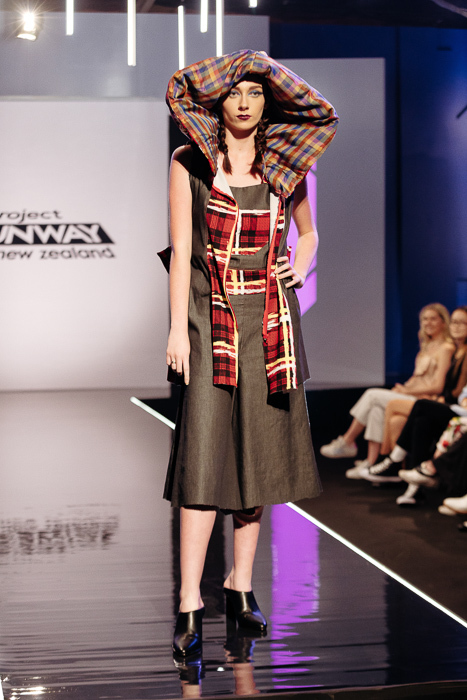 My advice to anyone who is wanting to join Project Runway is go for it, BE FEARLESS AND BE STRONG. Don’t be afraid to take risk; trust me you will be amazed. Going on a show like this is something you truly need to experience – you cannot put a price tag on it! 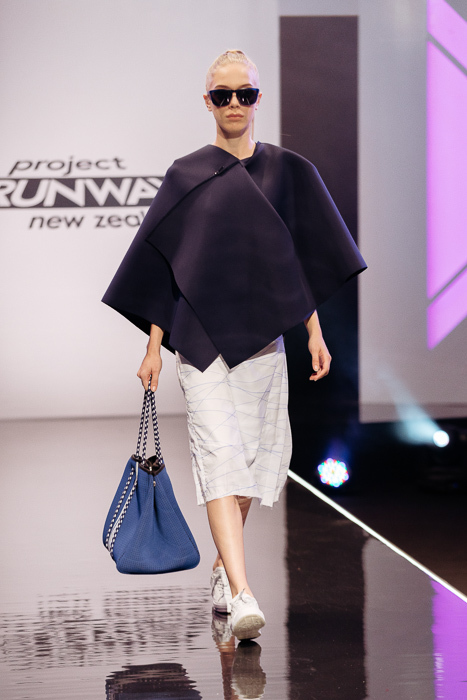 Leaving Project Runway is not the end, it is the beginning of a new chapter. I have so much I want to explore and do; I love to sing, dance and act, but more importantly I’m working on my new fashion label, Adhala Lenzo Creations. This will be dropping early 2019 and I’m excited to announce I’ll be doing a launch show to celebrate!